This is a “Design Sketch Model”. Buildings designed with a physical sketch-model are different and more sculptural than buildings designed with drawings alone, even those designed with 3d computer programs. 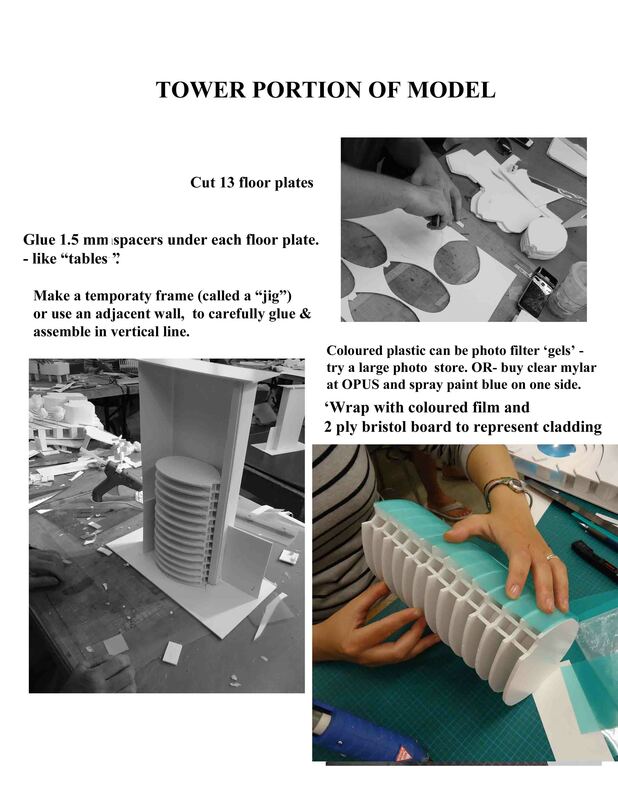 Here is the general process for a modelling project I often do with my students. 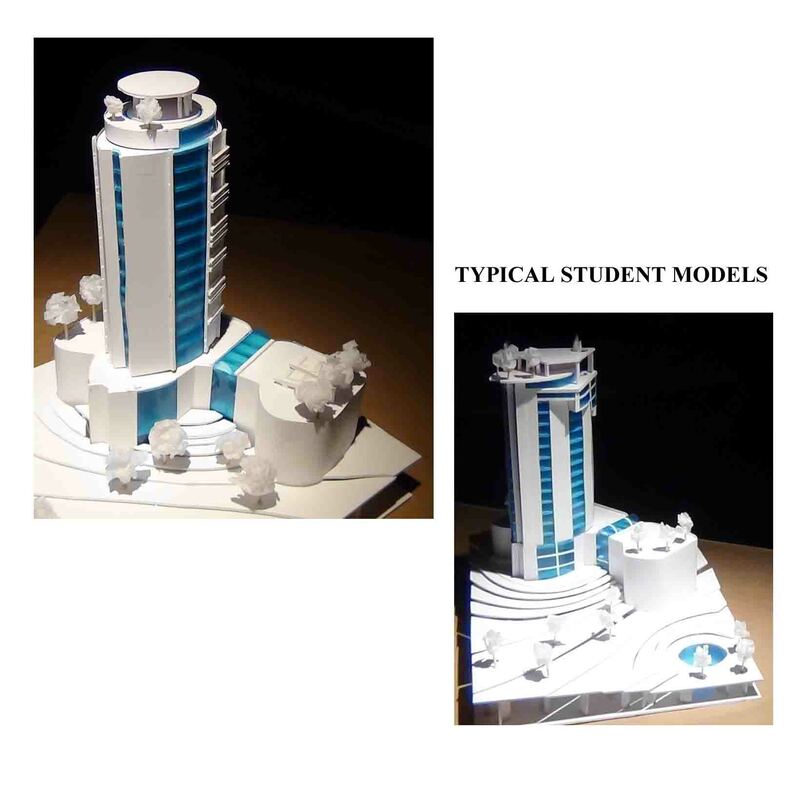 Every student alters and customizes the building design, often radically.We model and draw at the same time. Build it. Fix it. Cut it apart. Change it. It is not a highly finished plastic model. But they do look pretty good in photos. I know other people often prefer aesthetically special materials, eg brown cardboard, archival matte board, white glue, etc. 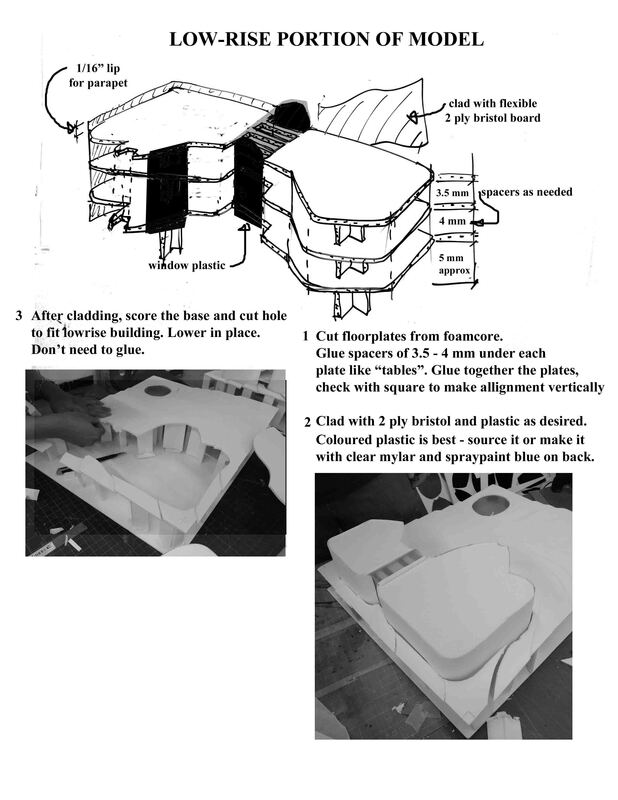 But foamcore, 2 ply bristol board, clear plastic mylar (this I do tint one side with spraycan), and hot gluegun is the most flexible and quick combo for a conceptual model. I prefer to keep everything sculptural and simple and FAST. The result does look good in photos – see some finished student models below.